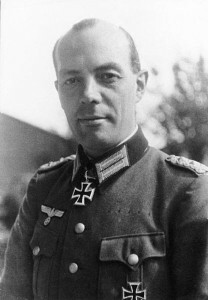 This week in the war, on 21 March 1943, Wehrmacht colonel, Rudolf Christoph von Gersdorff attempted to blow himself up beside Hitler, and alongside Goering, Himmler and Doenitz, too. It was not the first attempt on the Fuehrer’s life, and it would not be the last. 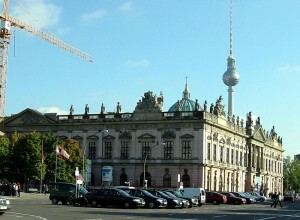 As part of Heroes Memorial Day, Hitler had planned to inspect a collection of captured Soviet weapons that were on display on Unter den Linden at the Zeughaus—–the old armory built by Frederick III and now the present-day location of the Deutsches Historisches Museum. Given that the attempt to blow up Hitler’s plane had failed, von Gersdorff’s decided upon a suicide mission. He obtained explosives from von Schlabrendorff—again with British fuses, like the Cointreau bomb. British fuses acted silently. German fuses hissed. Ceremonies at the Zeughaus began at 1.00pm and Hitler made a brief speech. Von Gersdorff’s pockets were stuffed with high explosive and, because he had been given the official task of explaining the exhibits, he could be as close to Hitler as he chose. Von Gersdorff activated the fuses. He and Germany’s Fuehrer had exactly ten minutes to live. But it was not to be. As if he’d had a premonition warning him of danger, Hitler rushed through the halls and exited the building without seeing any of the displays. With barely a minute to spare, von Gersdorff found a toilet and hastily defused his bomb. Von Gersdorff’s plot was followed in little over a year by a more well known though equally unsuccessful plot against Hitler: the 20 July 1944 bomb plot that was spearheaded by Wehrmacht colonel, Claus von Stauffenberg. This entry was posted in World War II and tagged assassination attempt, Hitler, von Gersdorff, von Stauffenberg, Zeughaus. Bookmark the permalink.